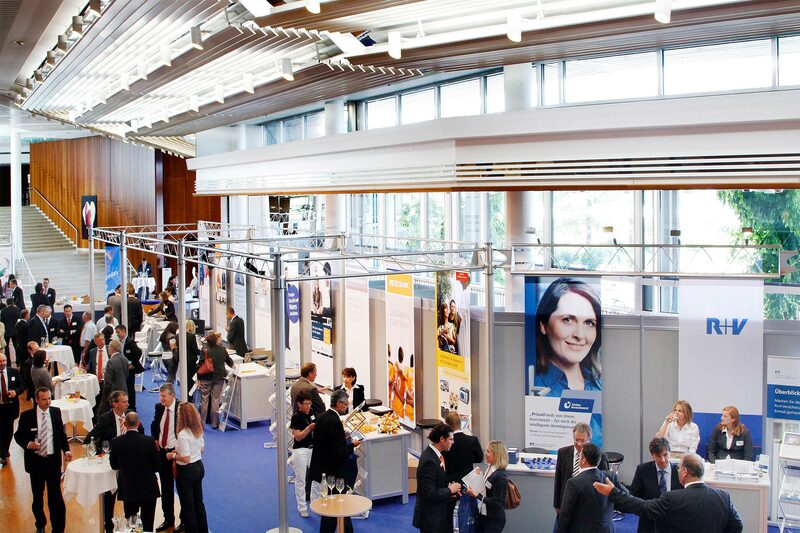 Small to medium sized trade fairs and exhibitions may take place in the entrance hall and in the foyer of Hugo-Eckener-Hall, either as part of a conference or independently. 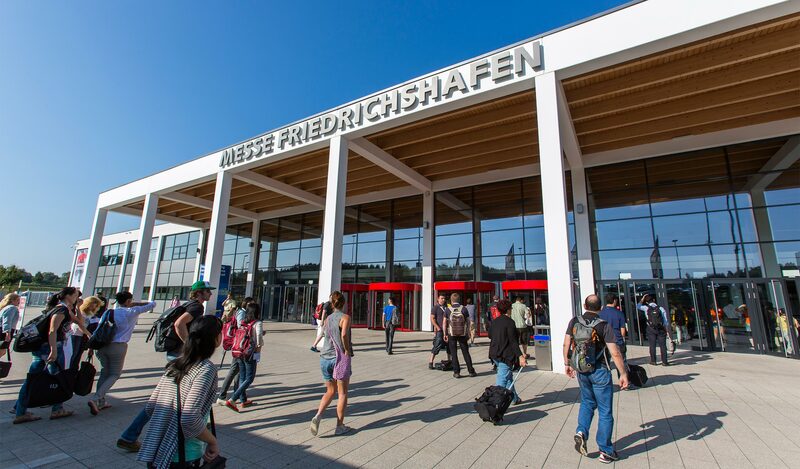 For large-scale events "Messe Friedrichshafen" exhibition centre offers fantastic options. With 12 halls and floor space of over 85,000 m², it provides a superb base for all kinds of events. 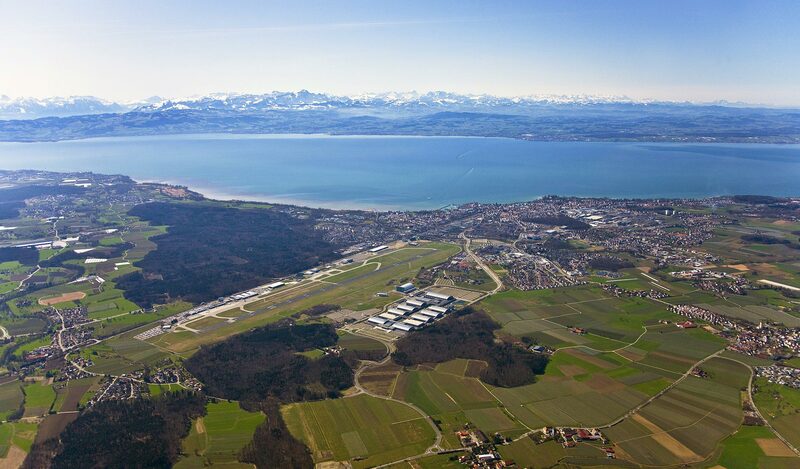 Whether for a corporate or large event, a product presentation, a sports event or an entertainment show - "Messe Friedrichshafen" exhibition centre and its appealing surroundings offer an event location in a class of its own.